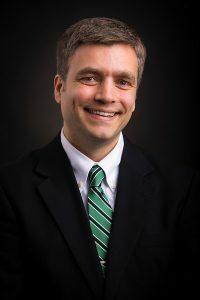 Since 2007 money has topped the list of sources of stress for Americans, with almost two-thirds reporting that money caused them very significant or somewhat significant stress. Money is also the leading cause of stress in relationships, with 70% of married couples arguing about money. According to research arguments about money are by far the top predictor of divorce, and fights around money take longer to recover from than any other type of argument. Reading all of that might make everything seem hopeless. After all, don’t all married couples fight about money? No! My wife and I have been married for almost 20 years and we have never had a fight about money. We had a lot to learn about money together, but we have never fought about money. In addition, I have been counseling individuals and couples about money for close to 20 years and have learned a lot about what works and what doesn’t work. Through personal experience, counseling experience, and research, I have discovered many things that financially healthy couples do with money. 1. Find a financial counselor that can help you walk through everything. A trained financial counselor understands the financial side of money and the emotional side of money. I strongly suggest couples work with an Accredited Financial Counselor, which can be found at http://afcpe.org/find-an-afc. If you are not married yet, see a Financial Counselor as part of your pre-marital counseling. 2. Meet as a couple on a regular basis and discuss (discuss – not fight) your budget, goals, dreams, and creative solutions to your financial challenges. 4. Set financial goals together and work towards achieving those goals. 5. Make sure each partner has money they can spend on whatever they want. 6. Set some money aside for each partner to be able to grow and develop their talents. For example, if your spouse wants to learn to play tennis, they could sign up for lessons. If you want to learn how to cook healthy meals, you could take a class. Even better, see if there is a class you both would enjoy. 7. Spend money on experiences, not things. 8. Be sure there is absolutely NO financial infidelity in your marriage (financial lies). Few things will destroy trust in a marriage faster than lying about money. 9. Review both partners credit reports on a regular basis (at least once a year). 10. Learn about money together – listen to podcasts and read books together. A few suggestions for podcasts include Stacking Benjamins, You Need a Budget, The Ric Edelman Show, and Money Tree Investing. A few books I recommend are You Need a Budget, The Difference, and How Rich People Think. Money (2014, June 1). 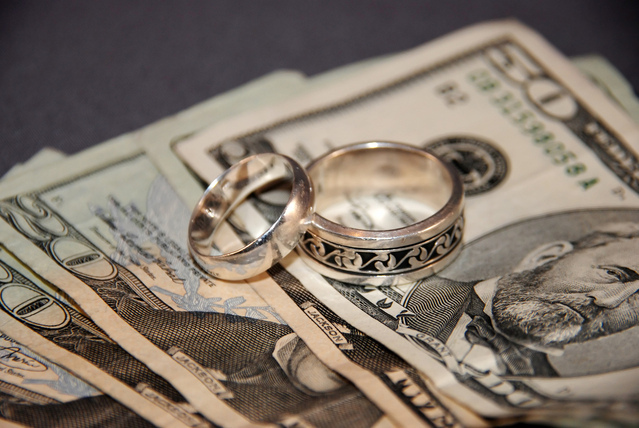 Poll: How husbands and wives really feel about their finances. Retrieved from http://time.com/money/2800576/love-money-by-the-numbers/. We run our dishwasher each night and one of the kids empties it in the morning. A while back we decided we wanted to leave our dishwasher open a bit during the day to let it air out. Our children decided to make it a game to see how long we could go before someone shut it all the way, which turned off the green “clean” light on the front. The first day someone shut it shortly after it was emptied. The next few days it was shut before noon. The kids, determined to keep the light on later, were really diligent and would remind anyone by the dishwasher not to shut it. The next few days we made it later and later until one day, when I started the dishwasher around 11 PM, the light was still on. The next day the same thing happened and since then we’ve only closed it all the way during the day a time or two. Now clearly this is a minor thing and this post is not about the virtues of leaving your dishwasher open a bit. As the title of the article says, it is about the power of focus. 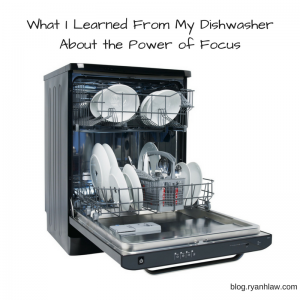 This experience with the dishwasher got me thinking about how we were able to change a habit and achieve a goal by focusing. Focus on and think about your goals and you will eventually achieve them. But how do we actually do this? Today’s post will give you a few ideas to begin to implement this. Contribute to your 401(k)If you have a 401(k) (or similar plan) available at work, this is one of the easiest ways to pay yourself first. Not only that, but in most cases this contribution will be pre-tax and will lower your tax bill. If you have a “match” from your employer, you aren’t just paying yourself first, you are, in many cases, at least doubling your savings. If you contribute 3% and your employer matches that, you are actually saving 6%. Contribute to a Roth IRAIf you are eligible to contribute to a Roth IRA, it can be a great investment. Many mutual fund companies, such as Vanguard, T. Rowe Price and Fidelity, will allow you to set up an automatic transfer from your paycheck or bank account. You can often start with as little as $25 a month. Have a set amount (ideally 10%) transferred out of your checking account and deposited in a savings accountIf your bank doesn’t allow this option, check with your employer. In most cases your employer will allow you to allow a certain amount, or a certain percentage, to go to different accounts. You can direct 10% to go to savings and the remaining amount to go to your primary checking account. If 10% is too much, start smaller. Start with 1% or ½ of 1%. See https://ryanhlaw.com/one-small-step/ for more information about starting small. A good part of financial success is setting up systems that will ensure success. 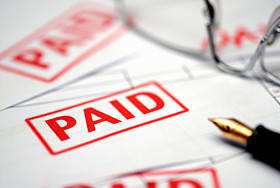 Many employers default to direct deposit – you have to put in a special request to get a paper check. Direct deposit is generally available in your account the same day the deposit is made and it costs less in time for both you and your employer. If your employer doesn’t offer this service, encourage them to set it up. With many accounting software packages, such as QuickBooks, direct deposit is included as a free add-on. There are two ways to do this – either set up the bill to get paid directly out of your account each month (generally charged to a credit or debit card) or you can pay through your bank’s online bill pay.We pay all of our regular monthly bills, such as the electric and gas bill, Netflix, our mortgage and others by having the payment charged to our debit card. It pulls out the same amount each month, and I can set it up once and forget it. It also ensures that we will never be late on these payments and get hit with a late fee. For other payments that don’t have this feature I pay them through our bank’s bill-pay system. Our children attend a local children’s choir, for example, and they don’t offer direct bill pay, so I log in to my bank when I get the bill and send the payment off. You don’t even have to pay for postage if you use this method! Have a set amount (ideally 10%) transfer from checking to savings when your paycheck is deposited. You can either have your bank do this automatically or if your bank doesn’t offer this service, you can often have your paycheck split into several accounts. My employer, for example, will allow me to put different percentages of my paycheck into different accounts. 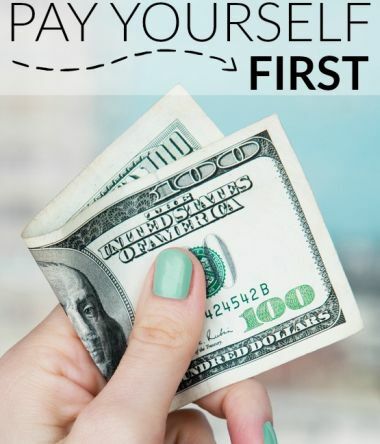 By doing this you are “paying yourself first.” Jim Rohn once said that poor people spend their money and save what’s left, while rich people save their money then spend what’s left. Make the savings portion automatic, then spend what you have left. These three simple tips can help ensure your success with your finances. Choose one you aren’t currently doing and get it set up today. This does not count, of course, for cases of extreme poverty, but the vast majority of people reading my blog could adopt the idea of paying yourself first. If 10% is too much, start with just 1%, or even just ½ of 1%! Are you going to build up much money saving just 1%? No, but that’s not the point. The point is starting the habit, then building it up over time. See https://ryanhlaw.com/one-small-step/ for more ideas about starting small. When we decide we want to achieve a goal we usually get excited and want to jump in the deep end. For some people, this might work, but the majority of people are going to sink. 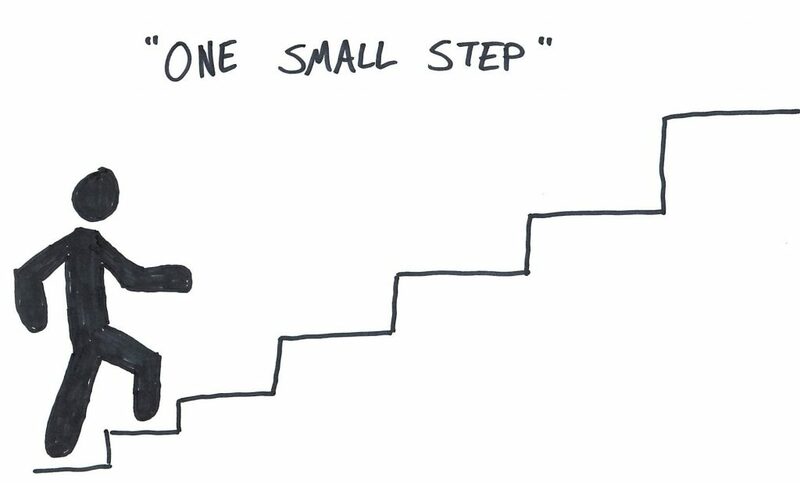 Research has shown that taking really small steps can be the best way to achieve a goal. Robert Maurer, author of “One Small Step Can Change Your Life” tells a story about a girl named Julie who needed to lose weight and get her blood pressure down. He was tempted to tell her to exercise aerobically for 30 minutes every day, but he knew from experience that while the advice was good, she was unlikely to do it and would just feel misunderstood and guilty. Maurer decided to try something different. “How about if you just march in place in front of the television, each day, for one minute?” Julie responded that of course she could do that. After all, there was no way she couldn’t succeed. Was she going to get healthier exercising for a minute a day? Probably not. What happened the next week, though, was that Julie came back excited that she had achieved her goal. Together they built up the exercise habit, minute by minute, for a few months, until she started exercising for 30 minutes each day. If you set really small steps towards your goal you will achieve success over time. The steps should be so small that you are guaranteed success. This process works the same for financial goals. 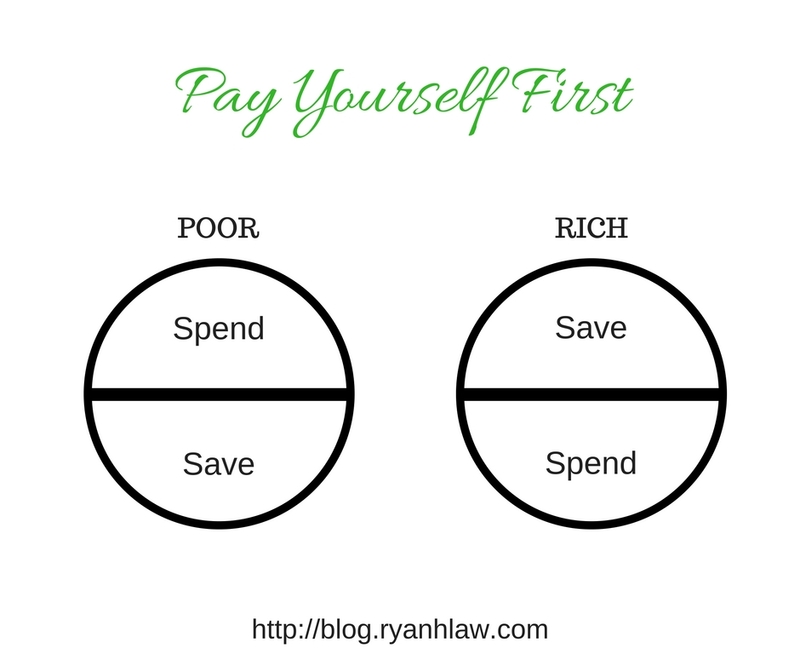 We all hear the advice that we should pay ourselves (save) 10% first, but few people do it. If you aren’t saving any money right now, can you save just 1%? If that is too much, how about .5% (one-half of one percent)? Can you add .5% more to your 401(k)? Can you pay an extra $5 this month towards your debt? Again, these steps seem so small that it seems they won’t make any difference. Starting small, then moving up from there, works! Almost anyone can do that, right? If that sounds too hard you can decrease the jogging and increase the walking. The point is to increase, over time, the amount of time jogging and decrease the amount of time walking. I’m on to a different program now where I run for four minutes then walk for one. My endurance and strength have built up and now I am running four miles in about 40 minutes, and that includes 10 minutes of warm-up and cool-down time. Am I where I want to be, fitness-wise? 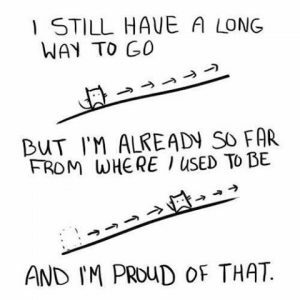 Not quite, but I’m making progress. The name of the game is improvement, not perfection, and that applies to your money, your fitness, your family, and every other area. 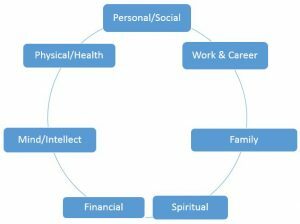 Pick one area from the seven areas of your life. Set a small goal – one you know you can’t fail at. Let me know what your goal is in the comments below or on Facebook or Linkedin. If you found this helpful, I would appreciate it if you would share it with others using the links below! For most of us Summer is about half-way over. My question for you is this: What have you done this Summer to build lifelong memories with your family? I want you to think back to your childhood for a minute and think about some of the gifts you received. How many can you remember? You probably remember a few. I remember getting a stereo one year, and a skateboard a different year. I can remember a few other items as well. Now think back instead to some fun experiences your family had. For me that brings up many memories of camping or hiking as a family, trips to Disneyland and Sea World, family reunions and others. I’ll share one recent example from our family. We were up at Bear Lake in northern Utah enjoying a day on the beach with some extended family. We decided to rent a boat for an hour, and we had a blast. It was definitely worth the money we spent on it. We could have bought cheap souvenirs for the kids instead that would have been lost or broken in a week or two, but instead they built wonderful memories on the boat. So with just over a month of Summer left, what are you going to do to build some memories with your family? In my last two posts I have talked about how to set goals and how to make changes in your life. 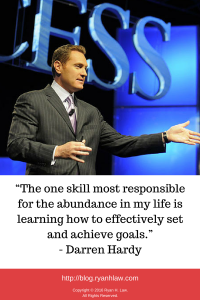 This week I am going to cover what areas of life you should set goals in. A preliminary note, though – before you set goals it is important that you consider the answer to the question, “Who do I truly want to become?” As the oft-repeated quote goes, “People may spend their whole lives climbing the ladder of success only to find, once they reach the top, that the ladder is leaning against the wrong wall.” Everyone knows “successful” people who lost everything that was important on their way to the “top.” They lost family, friends, trust and so much more. Clayton Christensen wrote an excellent book titled, “How Will You Measure Your Life?” He tells a story about how, at his 10-year Harvard Business School reunion, all of his classmates seemed to be doing well. 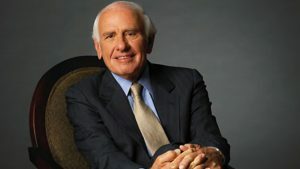 Many of them were on their way to the top of their companies and were earning enormous amounts of money. What he found out, though, was that many of them were unhappy. Many did not enjoy what they did for a living and there were numerous divorces or unhappy marriages. One of his classmates told him he hadn’t talked to his children in years. As the years went by, things got progressively worse. One of his brightest classmates, who earned more than $100 million in a single year as Enron’s CEO, ended up in jail for his role in the Enron scandal. Have you ever asked yourself these questions? If not, now is a good time to do so. Pull up a note and write out the answers to them. It can be an enlightening experience, and critical to setting goals that ensure your ladder is leaning on the right wall. You need to get specific, though! You need to define specifically what success looks like in each area, and you rate each one on a scale of 1-10, with one being very poor and 10 being outstanding. To help you set this up properly, I have created a Wheel of Life planning worksheet with some suggestions by both Zig Ziglar and Darren Hardy. What number would I like to get to? What will it take to get me to that number? 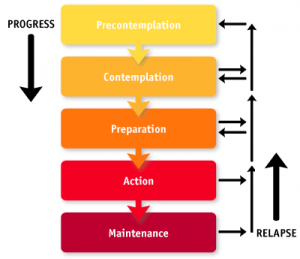 Am I ready to make a change in this area (am I am the Preparation stage of the Stages of Change)? This type of work is what Stephen Covey calls Quadrant II work – important but not urgent. 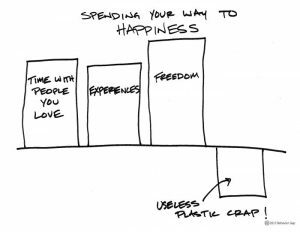 Commit to set some time aside to properly plan your life. Are there areas of your life that you want to change? Do you want to lose weight, get in shape, stop a bad habit or start a good habit? None of these things are going to happen by chance. They are only going to happen if you make a decision to change. In my last post I talked about goals – I want to dig deeper today into how you actually make the changes in your life that you want to make and how goal setting fits in to this. Back in the early 90’s three researchers – James Prochaska, Carlo DiClemente and John Norcross wanted to know the answer to the question: “How did people make changes in their lives?” They were expecting to find some common denominators among those who had made changes and maintained them. What they ended up finding, though, was a model that they called Stages of Change. In this post I am going to walk you through the five Stages of Change and discuss some ways you can incorporate them to make a positive changes in your life. The first stage is Precontemplation. In this stage you don’t know that you have a problem. It’s the alcoholic that says “I don’t have a drinking problem – I can stop anytime I want” or the person who is in the early stages of heart disease due to their lifestyle but isn’t aware of it. For those in the precontemplation stage there is no intention to change their behavior. They may wish to change, but this is different from intending to change. The second stage is Contemplation. In this stage they are aware that a problem exists, but they haven’t taken any steps to overcome it. They are contemplating changing sometime in the next six months, but research has shown that people will contemplate changing for years before actually doing anything about it. Preparation is the next stage. Those in this stage intend to change their behavior in the next 30 days. They may have already taken some small steps, such as purchasing running shoes. Preparation is where goal setting kicks in. If you want to stop eating sugar, for example, but you are still in the contemplation stage then setting a goal isn’t going to help – in fact, it can be harmful because you aren’t going to keep your commitment. If you are ready to commit, though, and you are ready to make a change in the next 30 days, then use my last post (https://ryanhlaw.com/how-to-set-and-achieve-your-goals/) to set your goals! Action is the stage where you take decisive action. You actually go running, you throw away all your cigarettes or take any other action that exhibits positive behavior. You enter the action stage on day one and stay in this stage for six consecutive months. That means that if a smoker, for example, goes three months without a cigarette then smokes one on a stressful day, then quits again, they start this stage back over. The final stage is Maintenance. Those in this stage have changed their behavior for at least six months. This stage was originally called Termination but was modified to reflect that maintenance is not static – it is a continuation of change. For example – at Alcoholics Anonymous meetings everyone introduces themselves as an Alcoholic, even if they have been dry for years. They recognize that they need to maintain the change. I differ from the authors in only one regard. Action is seen as the step where you completely stop or start doing something. You completely quit smoking, or you exercise for 30 minutes every day, or you completely cut out sugar, or whatever the action is. For many people (myself included) that’s too overwhelming. Smaller changes, where you are guaranteed not to fail, have proven to be more effective. I’ll give you an example from my own life. I would like to be better at studying the scriptures. My ultimate goal would be 30 minutes each morning, but I often get overwhelmed when I think about doing that and it’s the first thing to go. Sometimes reading even one full chapter seems daunting. Recently I gave myself permission to think small. Just a verse or two per day. That I can do (and, consequently, I have the last few days). Does that mean I have failed? No! Am I where I want to be? Not yet, but it’s better than where I was. The focus, for me, is on getting better, incrementally, not perfection. Perhaps this means I am still in the preparation stage for scripture reading, but I’m OK with that. Think about a change you would like to make in your life. What stage are you at? Are you ready to move to the next level? What small goal can you set for yourself – so small, in fact, that you are guaranteed not to fail? Remember, life does not get better by chance. It gets better by change.